Baby Wipes or Toilet Paper or Toilet Sprayer? When it comes to bathroom hygiene it’s nice that technology has finally given us some options since it’s been quite some time since the invention of Toilet Paper finally gave us something decent to use. 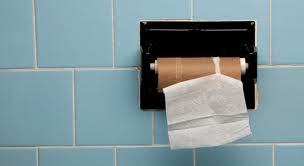 In Western Countries especially Toilet Paper rules as the preferred method to clean with after using the toilet. In other countries less fortunate it has varied over the centuries from leaves to the left hand to water from a bucket. Now most people recognize that water is a better way to clean than most others but that can be awkward at the toilet and messy even. The bidet was the first mechanical improvement in facilitating cleaning with water but it took up allot of room and was expensive so it never achieved widespread use. A long time passed before someone came up with Toile Bidet Seat, quite popular in Japan and possibly where it was first developed. These come in many shapes and sizes and offer some impressive bells and whistles and often come with an equally impressive price. If you are trying to show off how much money you have to waste this is the way to go. Just be aware that they also require a mechanic to fix them and you may have to use another toilet, or friends, while you wait. 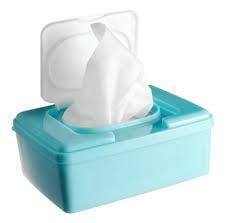 The latest technological improvement incorporates the use of water into the Toilet Paper known as a “Wet Wipes” or “Baby Wipes”. As the name Baby Wipe implies these were first developed for cleaning babies and although still their primary application people have also started using them instead of Toilet Paper. They do a good job cleaning big people just like they do babies but there are drawbacks. First they cost more. But probably more of a problem then the upfront purchase price is the resulting cost from flushing them down the toilet because although “flushable” as they advertise they do not break down in the sewers like toilet paper does and they are causing expensive clogs in the public sewer systems. You may not see these clogs but you can be sure that you will end up paying for them, one way or another. It is such a problem in fact that a class action lawsuit was recently filed against Target for selling these and miss-stating that they are ok to flush. Now we come to the Toilet Sprayer or Hand Held Bidet. It has many names depending on what country you’re in like Bum Gun, Bidet Toilet Sprayer, Bathroom Sprayer, or simply Hand Bidet but they all more or less imply what is it = a sprayer that you hold in your hand for cleaning up after using the toilet. And at this it excels. It has all of the benefits of the traditional bidet with none of the drawbacks. It takes up no floor space and is located right at the toilet so you don’t have to get up and move. It requires no new plumbing or electric like a Bidet Toilet Seat and is virtually maintenance free. It also costs a fraction in comparison and can be installed without a plumber. Lastly it actually does a better job cleaning you because it has greater water flow and more control of where it sprays. The Toilet Sprayer is definitely the latest and greatest bathroom gadget and a true life improving change in bathroom hygiene.